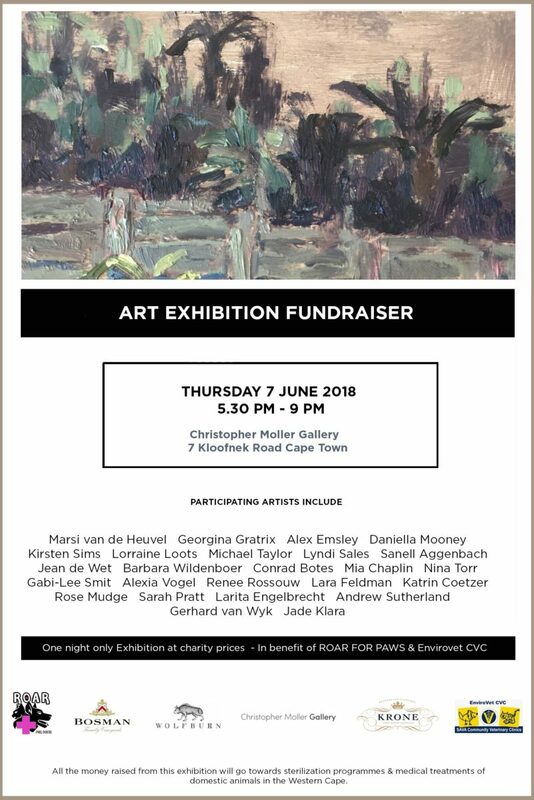 Kirsten Sims will be participating in an Art Exhibition Fundraiser hosted in aid of ROAR for PAWS Animal Welfare in conjunction with CVC Envirovet. All the funds raised from this one-night exhibition will go towards a sterilization programme & the medical treatment of domestic animals in the Western Cape. The event will be taking place at Christopher Moller gallery just around the corner from Salon Ninety One. The event will run from 5:30 until 9PM on the 7th of June 2018.